Chascomm, taimurkhan, tokareva and 6 others like this. Beautiful hands! Can you please tell us where they can be acquired? it was a mod done by watchnain - can look him up on instagram. Put the 160 on a new bracelet. Dave_Mc, volgofmr and swims like this. deangc, Dave_Mc and Vost like this. I've been eyeing these for a while now. How's the lume? 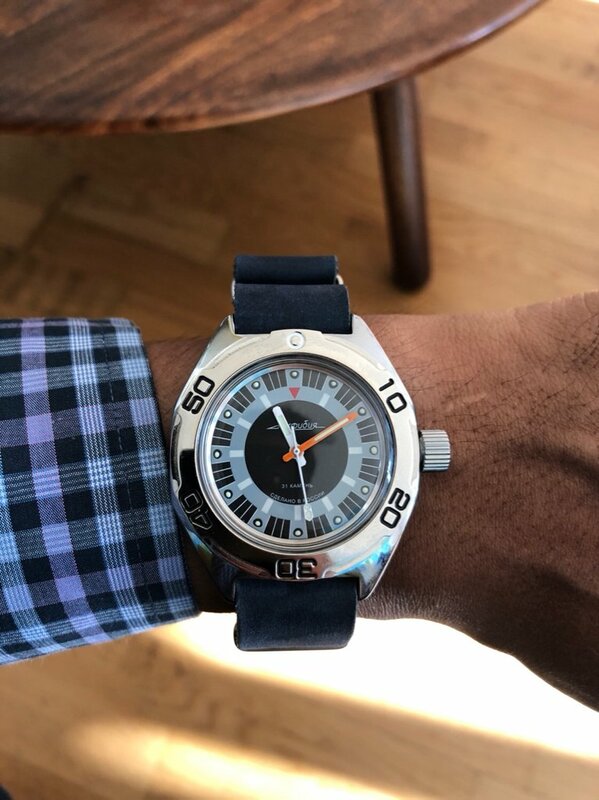 First Vostok! Plans for a clean bezel swap and salesman caseback. Eyes on a 710 in the future as well. I've got the bug. Dave_Mc, elsoldemayo and swims like this. And yes, 20mm lugs on an old tonneau case. Some joker tried to make room for a bigger bracelet and butchered the lugs, so I had to widen them up to 20mm. They are still slightly uneven, but I do not want to go too far. Also, the sweep second hand is probably not orginal, it was probably lifted off a Komandirskie zakaz, but it does look nice. 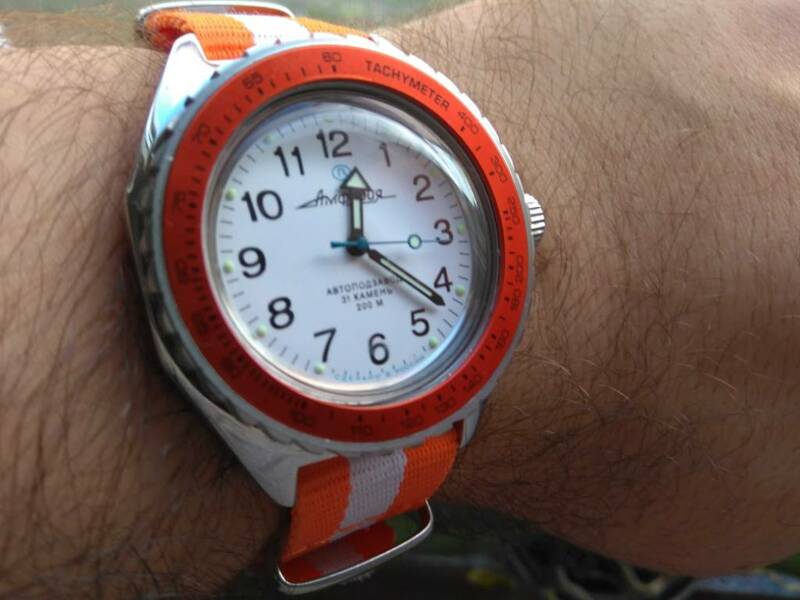 For some reason, the movement is stamped "2209 w". Fully translated stamp!